The Democracy Defined Website. 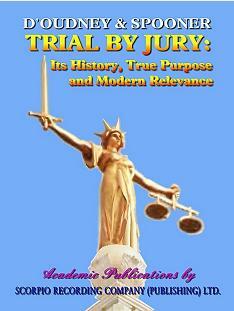 The Campaign for Restoration & Universal Adoption of authentic Trial by Jury. I HAVE THE RIGHT TO VOTE, THEREFORE I LIVE IN A DEMOCRACY, RIGHT ? - WRONG ! "Suffrage does not define democracy..."
This is an abridged functional version of The Democracy Defined Website for mobile devices. However, for ease of reading, we strongly recommend you peruse this website either on a PC / Mac with a proper desktop screen, or a large tablet. The profound ramifications of the not-for-profit DEMOCRACY DEFINED CAMPAIGN are explained on the website pages indexed below. This Campaign provides citizens with the unique, timeless formulation by which the civilised, compassionate society is created, constituted and governed, sine qua non. The information reveals that the society which ignores or is in ignorance of these facts suffers inevitably from the dolorous barbarity of despotism. Illegal arbitrary dispossession of homes, fabricated financial crises, unwarranted taxation, unemployment, and intolerable government molestation in the lives of innocent men and women, are all addressed herein. The catastrophic criminal inhumanity wrought upon whole populations by that miniscule number of men and women responsible for, and responsible for permitting (abetting) the Crime of Usury (money-lending-at-interest); fraudulent Fractional Reserve Lending; the issuance of national (and international) currency and credit at interest by non-national, de facto privately-owned "Central" Banks; the ubiquitous global crimes and lethality of International Monetary organisations and World Bank are confronted. However, above all, it is the criminality of participants in the latterday "Justice" Systems which is exposed. All societies govern by their Justice System: if there be institutionalised corruption therein, then the entire body corporate of government, and those who direct government, and all those who enforce its illegitimate measures become parties culpable in varying degrees for their engendering, or collaborating with, the Illegality of the Status Quo. Only the corrupt benefit. As a consequence, the people suffer massive Crimes against Humanity and Crimes against Peace on a constant, ongoing basis. Within the texts of the Democracy Defined Campaign Philosophy rests the Sole (peaceful) Solution to the monumentally growing criminality of governments, and of those who control governments from behind-the-scenes. The adoption of this Philosophy proffers the prompt worldwide elimination of tyrannies and all the Crimes against Humanity committed by politicians and governments. This indispensable Universal Solution is not found in tinkering with legislation. Far from it. As carefully expounded herein, only by application of the tried and well-proven constitutional legem terræ does the elimination of most of all crime, common and statist, and permanent relative Peace on Earth become feasible. Due to the false preachings of modern politicians, you might have a completely mistaken idea of what democracy really is - many people do. This website brings home the realities. The information provided enables you to judge for yourself whether you live in a democracy or whether your government is a despotism, and what you can do about it. You can join this Campaign for Universal Equal Justice and Liberty for free. Also, there are free essays, pamphlets and posters to download, print out and distribute. SOUTH AFRICA, THE UNITED STATES AND ENGLAND. is spread worldwide by its members. The Campaign facts and philosophy on this site and in our publications have endorsements by good citizens: a Nobel laureate U.S. government Official Adviser professor emeritus; by a Doctor and Professor Fellow of the Royal Society; by eminent authors, academics, attorneys, doctors (of medicine, homeopathy, psychiatry, and jurisprudence) and by judges (U.S. & U.K.). IS YOUR COUNTRY A DEMOCRACY OR IS YOUR GOVERNMENT A DESPOTISM? 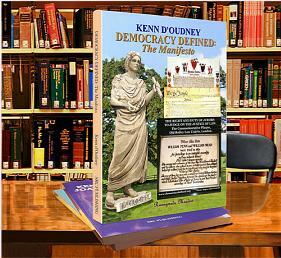 A Treatise for the Democracy Defined Restoration Campaign by Kenn d'Oudney. Softback, 266 large-size pages or Kindle E-book. 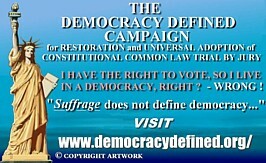 The word ‘democracy’ is widely abused and ‘defined’ incorrectly. 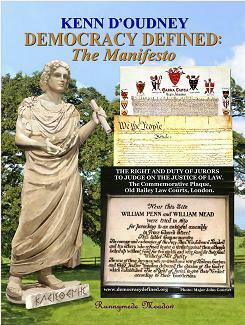 This extensively researched book explains how components of Constitutional Democracy have been suppressed by malefic statist interventions to produce the modern decline and the Illegality of the Status Quo. It sheds light on how democracy involves a variety of far-reaching issues, including political assassinations; the ætiology of anti-Semitism; fraudulent private banking practices; and the national issuance of interest-free currency and credit. The historical, legal and constitutional facts and quotations in this book establish the perennially subject and liable status of executive, legislature and judiciary to the universal timeless secular moral and legal tenets of equity and cost-free private prosecutions at Common Law Trial by Jury. Exposes fallacies of "constitutional" groups and individuals. Indispensable reading for anyone who wishes to uphold the West's cherished heritage of liberty and equal justice. The Manifesto reveals the theoretical and practical framework upon which the ideal human society is to be achieved. JUSTIN WALKER, Campaign Coordinator, British Constitution Group. For more reviews, click here. Inside information from the official Empirical Studies on cannabis/ marijuana/ hemp. The motive is explained as to why government does not want the general public to know these exonerative facts which exempt cannabis from prohibition and regulation. All cultivation, trade, possession and use are vindicated. 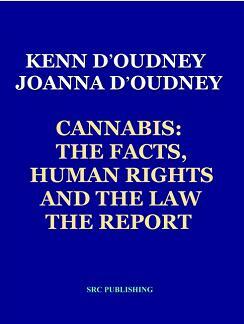 "You have done a splendid job of producing a comprehensive summary of the evidence documenting that the prohibition of the production, sale and use of cannabis is utterly unjustified and produces many harmful effects. Any impartial person reading your REPORT will almost certainly end up favouring the re-legalisation of cannabis." Economics’ Adviser to U.S. government; Author, video and TV series writer and presenter; Senior Research Fellow, Hoover Institution on War, Revolution and Peace; Professor Emeritus, University of Chicago. Also see endorsements by a (teaching) Professor of Physiology Fellow of The Royal Society and by eminent authors, academics, doctors and judges (U.S. & U.K.) on the webpage. The definitive work on Annulment-by-Jury (or Jury Nullification), i.e. the Juror’s Duty to judge on the justice of the law and the act of enforcement, in finding the Verdict in Trial by Jury. Explanation of the legal criteria which define whether a government and its statutes are legitimate or criminally despotic. The legal requirements and responsibilities of governments to uphold citizens' rights. A publication which renders a heretofore entirely unconsidered standpoint. The knowledge in The Treatise (recondite even to the legal profession) empowers citizens. Endorsed by U.S. and U.K. cognoscenti. 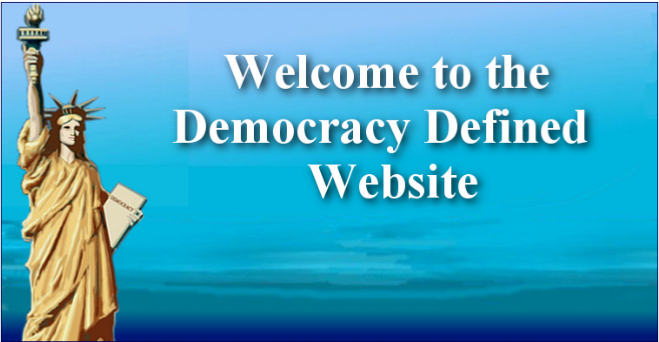 The DEMOCRACY DEFINED Campaign is a non-profitmaking and educational organisation which sponsors this website dedicated to the defence and propagation of Democracy, Political and Religious Freedom and Humanitarian Values, for the benefit of people everywhere. Visiting the other pages of this website demonstrates that The DEMOCRACY DEFINED CAMPAIGN offers political and practical SOLUTIONS to world problems which adversely affect the lives of every person. to annul injustice. Click here. © COPYRIGHTS held variously and/or jointly by The Owners, The Authors, The DEMOCRACY DEFINED CAMPAIGN and SCORPIO RECORDING COMPANY (PUBLISHING) LTD., to materials, written and pictorial, on this website.